When people come together with several goals together and a teacher/trainer need to prepare one common goal keep all those goals into consideration yields an interesting outcome. This romance of learning that happened on Monday & Tuesday. If you are aiming to begin a career as Business Analyst and looking for a book to understand B.A.’s role, you are at the right place. If you would like to order author signed copies, write to kalvin@beaba.in or leave your comment with email id and phone number. -Be a B.A book is Recommended by Mridul Gupta, Management Consultant, Accenture Management Consulting, CCBA, IIBA. “Simplistic, exemplary, structured and thoughtful content of the book makes it one of the best for the Business Analyst fraternity!” – Yogesh More, Executive Manager, ADP. 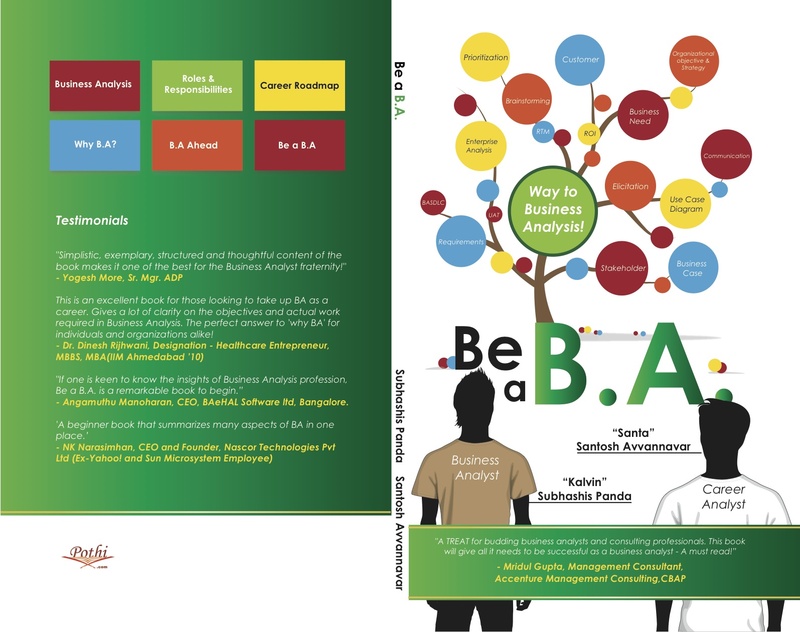 Be a B.A book is Recommended by Mridul Gupta, Management Consultant, Accenture Management Consulting, CCBA, IIBA. And Foreworded by Prof. Meena R Chandawarkar, Vice Chancellor Karnataka State Women’s University, Bijapur, India. A Simple Story of Authdas!